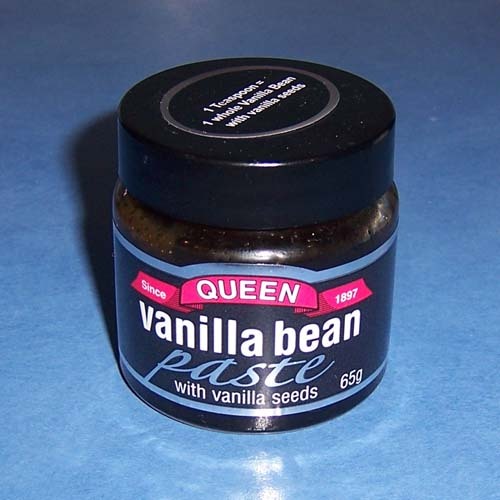 Vanilla Bean paste is a paste formed from vanilla extract and the beans from a vanilla pod. One teaspoon of the paste is roughly equivalent to using a whole vanilla bean with seeds. To me, it is far easier to use than vanilla beans and has a far better flavour than the standard vanilla essence or extract. 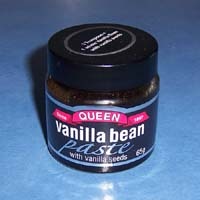 Vanilla Bean Paste is used in the recipes bellow.